The Gnevny class were a group of destroyers built for the Soviet Navy in the late 1930s - early 1940s. They are sometimes known as the Gremyashchiy classdestroyer and the Official Soviet Designation was Project 7. These ships fought in World War II. 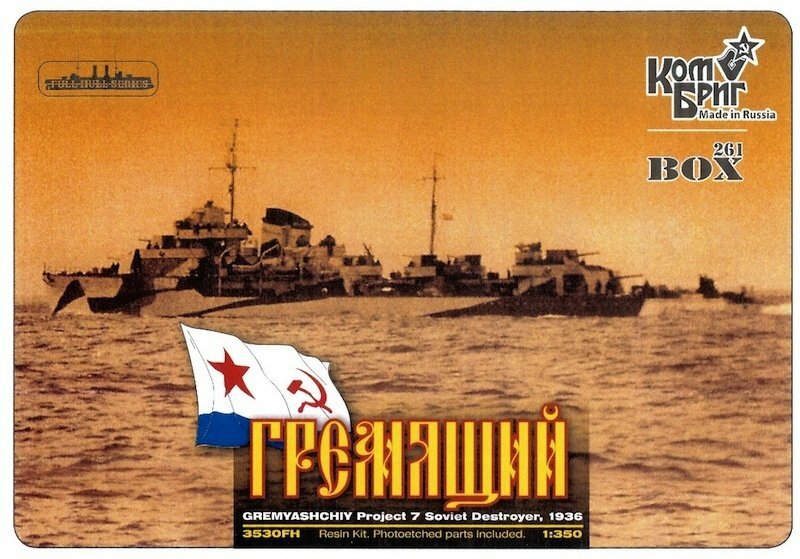 In the early 1930s the Soviets felt able to re-start construction of fleet destroyers and forty eight ships were ordered under the second Five year Plan. The design was produced with Italian assistance despite ideological differences between the Soviets and Fascist Italy. They resemble contemporary destroyers built in Italy for the Greek and Turkish Navies. They suffered from some of the weaknesses of contemporary Italian ships with structural weakness and limited seaworthiness. There were also significant machinery problems in the earliest ships. The design flaws were apparent after trials of the first units in 1936/7 and production stopped after 30 ships. A modified design was then placed into production as the Type 7U. Four surviving ships from the Pacific Fleet were transferred to the People's Liberation Army Navy and served as the Anshan class destroyers.